Put down the sad airport food and bypass that drive-through. You can stick to your healthy eating goals while traveling. Whether you’re navigating airports, enduring long bus rides or heading out on a road trip, you need a general food plan. We know travel days don’t always abide by a three-a-day standard schedule, but that doesn’t mean you should just wing it entirely. The sad truth is that you’ll run into so many French fries while out on the road. They will tempt you and you will want to eat all of them. While we won’t tell you to never eat French fries (everything in moderation, folks), you probably won’t feel at the top of your game if you’re only eating fries 24/7. So here’s what you can do to fit some healthy food in there. Research leads to the best local avocado toast. 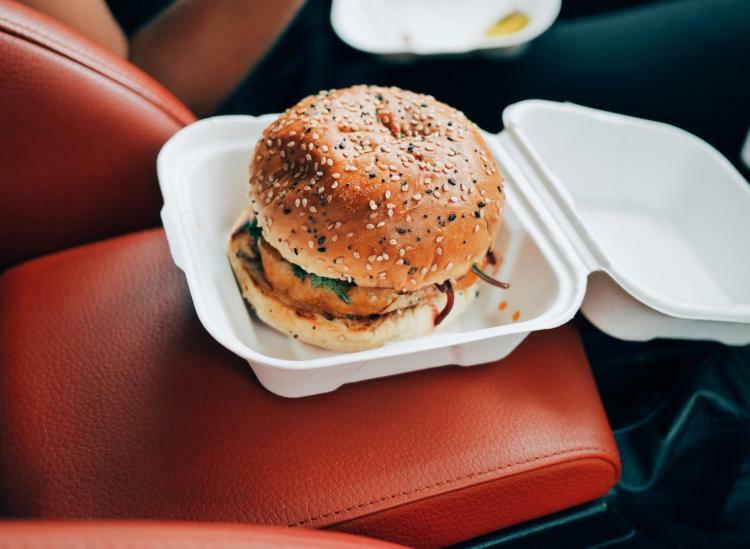 Let’s say you’re driving cross-country and don’t want to eat a fast food burger. If you time your trip right, you can aim to be cutting through a city at lunchtime. Yelp, TripAdvisor or the local city magazine will have strong insights into where to eat. If you also want to keep an eye on your budget, pack food ahead of time. Trader Joe’s is loaded with cheap yet healthy snacks for road trips and flights. Also, if you’re flying, a little research can clue you in on the reasonable food ops in your terminal. Farmers’ markets for the win! You’ll never have to search for healthy foods if you hit up the market. You can munch on fresh fruit, grab a salad and, of course, nibble on cheese samples. There’s a farmers’ market in just about every city or town, and you can even stop and grab some fresh food at stands along the road. That renowned ice cream stand? Get some. The deep fried street food? Try it out. The best part of eating healthy is being able to indulge in some treats, too, and that’s such an important part of travel. You have to absorb the local culture, literally.